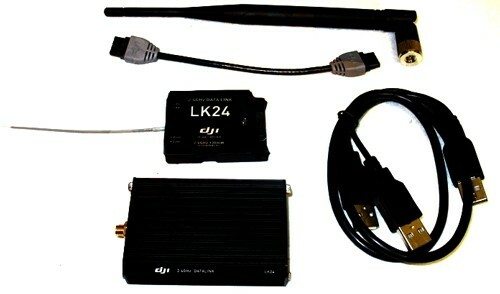 This Product has been replaced with the DJI iPad Ground Station + 2.4 GHz Bluetooth Data Link. This page is for reference only. 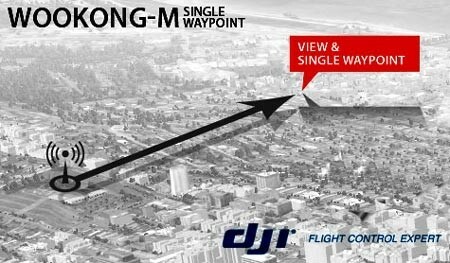 The DJI M View Data Link Radio now comes with "Click & Go" single way point included in the price for the DJI WKM. The DJI Wookong M View Data Link Radio and Ground Control Station (GCS), enables the user to monitor the real-time flight data from the Wookong WKM autopilot system. The M View Data Link Radio and Ground control Station set is an advanced additional add on feature to the DJI WKM multi rotor flight system. The Data Radio also includes one way point, so you can "click and go" to a point on the 3D map from inside the GCS. When you connect the M View Data Link Radio system to the WKM you will have GCS with a map display which allows you to monitor attitude, coordinate, speed, power / voltage and angle of aircraft while monitoring the signal quality of wireless data link to your multi rotor copter. This addition to the DJI Wookong WKM has been specially designed for the high-end user of WKM, if you are a user who needs to monitor the real time flight of your mulit rotor copter, this is an essential addition to your flight system. The M View ground station needs to have an activation code entered before it will work with your WKM, the activation code is generated from your current WKM Hardware ID. When you place your order for this product please list your current Wookong M Hardware ID in the order notes at check out, this information is to allow the new S/N to be generated to unlock the M View system and allow communication with the Ground Control Station. Please note: This is the 2.4 GHz data radio not the 900Mhz, the 900 MHz data radios can be supplied. Real Time Flight Parameters View. One Way Point (Click & Go function).